Even though YouTube is just one of many social networks that chiropractors can use, those that don’t use it are really missing out. It not only can help chiropractors spread their message but also market their practices without affecting their budgets. Plus, since it’s the second largest search engine next to Google, innovative chiropractors can leverage its traffic to help drive leads back to their sites. But if you’re new to YouTube, make sure you spend some time getting familiar with the basics. Video is different than text, or even audio for that matter. So spend some time learning the platform so that you’ll achieve results quicker right out of the gate. The main technique to learn when using YouTube for business is video optimization. This will improve your promotional value and determine your advertising success. Here are six basic points to master when using YouTube. Account name:Select an account name that is relevant to both your business and your videos. Complete your profile information and do not link your YouTube Account to your personal email address. You do not want to have your personal email bombarded with mail from fans, followers and potential clients. 2. Video upload:There are four basic principles to follow when uploading a video to YouTube. a. Up-load original videos:YouTube automatically re-encodes videos as they are uploaded. So, it is best to upload your original videos since already re-encoded ones produce a poorer quality and viewing experience. b. Frame Rate:The video frame rate must be as close to the original as possible. Motion picture films are shot in 24 fps (frames per second) or 25 fps progressive master which produce high-quality results. Videos that are resampled through the transferring of motion picture to film (aka Telecine pulldown), often yield videos of a lower quality. c. Resolution:High definition videos are the preferred format. This allows you to upgrade your video to newer formats if the need arises. d. Testing:Always test the audio and video quality before releasing for public viewing. Make sure needed edits have been performed to avoid embarrassment or unnecessary commentary. It is important that you get it right the first time around as the stats of the video (popularity, number of views, user ratings and comments etc.) cannot be transferred to a newer, higher quality version of the same video. 3. Copyright Infringement Notification:Access the Content Verification Program available on YouTube. This is available once you have an account. YouTube works along with copyright-holders to police the site and report and remove materials infringing on copyrighted materials. 5. 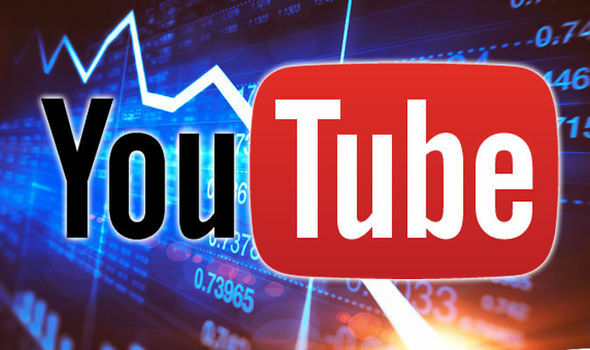 Commercial Promotion and Advertising:Think about running your ad campaign on YouTube. This is one of the largest on-line consumer spaces where users submit millions of searches for video content each day. 6. Monitor:It is important that you check your YouTube Insight Dashboard and your Website Metrics so that you can identify the level of interest and the behavior pattern of your visitors. So there you have it. Six basic tips that’ll help any chiropractor get started with YouTube. Question: Are you using YouTube to market and promote your practice? If so, how’s it working out for you? Video upload:There are four basic principles to follow when uploading a video to YouTube. Up-load original videos:YouTube automatically re-encodes videos as they are uploaded. So, it is best to upload your original videos since already re-encoded ones produce a poorer quality and viewing experience. Frame Rate:The video frame rate must be as close to the original as possible. Motion picture films are shot in 24 fps (frames per second) or 25 fps progressive master which produce high-quality results. Videos that are resampled through the transferring of motion picture to film (aka Telecine pulldown), often yield videos of a lower quality. Resolution:High definition videos are the preferred format. This allows you to upgrade your video to newer formats if the need arises. Testing:Always test the audio and video quality before releasing for public viewing. Make sure needed edits have been performed to avoid embarrassment or unnecessary commentary. Copyright Infringement Notification:Access the Content Verification Program available on YouTube. This is available once you have an account. YouTube works along with copyright-holders to police the site and report and remove materials infringing on copyrighted materials. Commercial Promotion and Advertising:Think about running your ad campaign on YouTube. This is one of the largest on-line consumer spaces where users submit millions of searches for video content each day. Monitor:It is important that you check your YouTube Insight Dashboard and your Website Metrics so that you can identify the level of interest and the behavior pattern of your visitors. Next articleStop Dreaming of Success! !